Mike’s athletic pursuits began with playing competitive baseball at a young age. 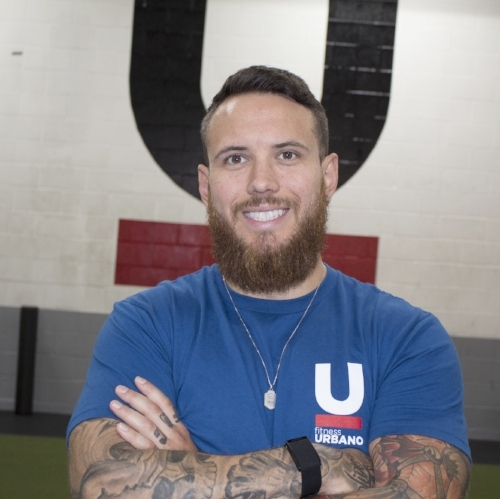 He was later involved in mixed martial arts training for over five years in Ottawa, and has trained with and been mentored by one of Canada’s best Olympic Weightlifting coaches, Pierre Roy. He is a career-based strength and conditioning coach and is currently learning from some of the best in the business. Mike has dedicated himself to being the best he can be through learning, education, and training. - I had Mike Blanchard to help me prepare for my 3 first pro MMA fights and it was awesome! Couldn't ask for a better trainer. He helped me a lot with my explosion - strength and endurance. It's a must to every fighter to have training sessions like those I did with Mike to evolve and get better for every fight. I had a very great experience with him, thanks again Mike. - Mike has been by my side coaching me since the beginning of my "fitness journey". He made me go from an average girl doing stuff at the gym to be in shape to a weightlifter who qualified for the weightlifting provincial in Canada. He always surrounded me with awesome coaching and tips. What's the best about being coached by him, is that he will always make sure that you are not exposing your body to failure where you can hurt yourself. He has a lot of knowledge of the human body that give me confidence in him and his coaching.